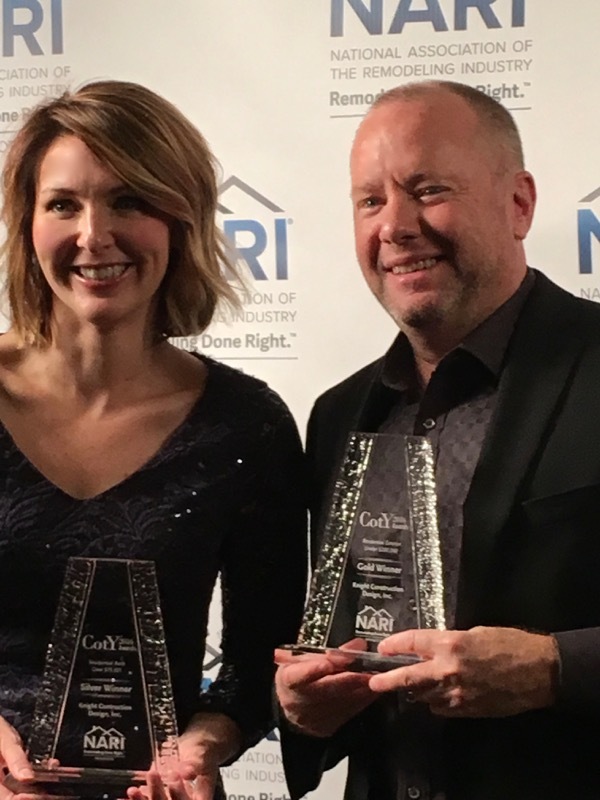 Accessible design | Knight Construction Design Inc.
Knight Construction Design has earned two more Minnesota Contractor of the Year (CotY) awards from the National Association of the Remodeling Industry (NARI). The 2016 honors span both indoor and exterior projects and follow Knight’s 2015 National Contractor of the Year recognition. Knight won the Gold CotY for Residential Exterior under $200,000 and the Silver CotY for Residential Bath Over $75,000. The exterior project added curb appeal and accessibility to a home with a daughter who has been confined to a wheelchair most of her life. It featured a covered entry and ramp with decorative metal railing. A tall, side garage addition on the corner lot suits the family's handicap van. And the new roofline enhances curb appeal. The winning master suite his/hers luxury baths delivered the clients' desired floor plan and quality fixtures despite demanding site challenges (such as demolishing the poured concrete, rebar-reinforced sunken spa tub to make room for the new drop-in air bubble bath. Special care was taken to salvage and match custom millwork and preserve the former fixtures for resale.